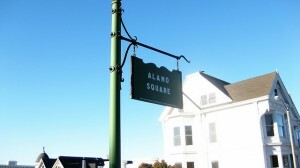 San Francisco’s Alamo Square Declared “No-Tech” Zone? San Francisco is often described as an “interesting” place. For decades, it was home to hippies, beatniks, and other counter-culture holdouts. In more recent times, the City By The Bay has seen an influx of tech-industry workers, causing the city to gentrify at a rapid pace. It’s hard to say if a recent set of “No-Tech” signs around San Francisco’s Alamo Square were posted by merry pranksters, social commentators, or just some people who’d like everyone to stop looking at their iPhones for a minute. Earlier this week, these signs that depict a tablet/smartphone surrounded by a familiar circle-slash popped up around Alamo Park. The signs command, “No cell phones, tablets, laptops or smart devices are permitted,” and warn that violating this edict could result in a $300 fine. They’re very official looking but the signs weren’t placed there by the city. So far, no one has come forward to claim ownership of the signs. And despite their rather sturdy-looking installations, the signs have already been taken down. Original image by Andy Melton on Flickr. Used under Creative Commons license. My first ever family computer was a Commodore 64. I still remember how excited I was when my dad brought one home for Christmas, 1984. We spent hours putting that machine thru its paces. Which really means, we used it to play video games. Lots and lots of video games. And sometimes, we’d take a break from those games to do something more computer-y like make a database or manually input some code (probably for a game!) from one of the day’s prevalent computer magazines. A few years later, we replaced that C-64 with a shiny new Amiga 500. And while we lost all of those great games, we gained 16-bit color and sound as well as the ability to add things like hard drives and other I/O. Around this time, I was able to take a media production course thru a vocational school. The school had a small lab of the A500’s bigger brother, the Amiga 2000. This is where I was first introduced to things like the Newtek Video Toaster as well as digital audio production. Oh, how I lusted after one of those Amiga 2000’s (or for that matter, the Amiga 3000 and 4000!). I desperately wanted to own one but alas, it never happened. All of those memories came flooding back to me when I recently came across this article about a school district in Michigan that’s still using an Amiga 2000 to control its HVAC systems. I’m unsure if this is a testament to the reliability and quality of Commodore products or a sad statement on the nature of public school funding. Regardless, the Grand Rapids Public School District is using an Amiga 2000 working in concert with a 1200-bit modem and a radio system that sends signals to the school district’s buildings, turning on/off heaters and air conditioners as needed. Apparently, the wireless frequency used by this system overlaps with the same radio frequency used by district maintenance, which sometimes creates problems. Maintenance crews have to maintain radio silence for periods of up to 20 minutes whenever one of these communication problems arises. If voters approve an upcoming bond measure, the school district should be able to raise enough funds to replace the vintage computer system. If the bond does pass, I hope there’s a museum or something that can house that Amiga 2000. After nearly 30 years of venerable service, it deserves more than to just be sent to the recycler. 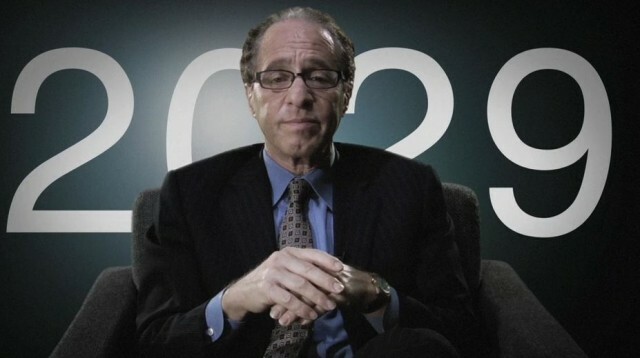 Ray Kurzweil has a pretty good track record when it comes to predicting where tech is going. In the past he predicted a computer would defeat a chess champion, that computers would be online wirelessly, and voice commands to computers, among many others. Still no word on those hoverboards though. Damn. The Girl Scouts have made it even easier for you to buy your favorite kinds of Girl Scout cookies. They have launched something called Digital Cookie. he majority of the 112 Girl Scout councils nationwide are participating in the Digital Cookie 2014 – 2015 cookie season. 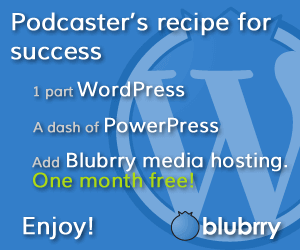 More are expected to join by the end of 2015 (when Digital Cookie 2.0 will be ready). The Digital Cookie program will start nationally in January of 2015. Individual Girl Scouts can have their own cookie website. Customers can gain access to it only if the Girl Scout sends them an emailed invitation. No identifying information about the Girl Scout will be publicly visible. This makes things safer for the girls who get to control which customers they want to work with. It is also possible to purchase cookies through the Official Girl Scout Cookie Finder app. One of the coolest things about this new program is that it allows people to buy Girl Scout cookies from any Girl Scout who markets her business to them. In other words, you can buy cookies from your niece or granddaughter who is a Girl Scout and who lives across the country from you. Those cookies will be shipped to your door. Obviously, the cookie sales are a fundraiser. The sales also are very useful to teach important lessons. The process of selling cookies teaches girls 5 essential skills: goal setting, decision making, money management, people skills, and business ethics. Digital Cookie will expand girls’ knowledge of and hands-on experience with online marketing, app use, website customization and e-commerce. At TEDxBelfast last night I was inspired by the stories of individuals who passionately believed in an idea and then made that idea a reality. From working with autistic children to building a new arts centre, these people all made a difference. 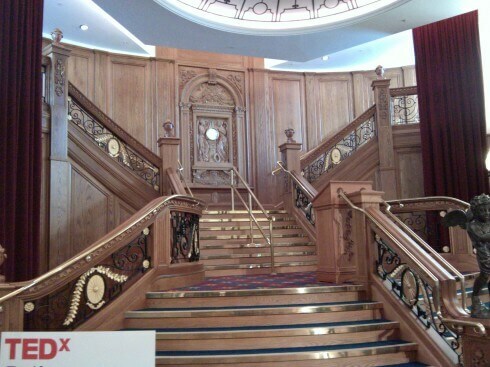 Presented in Titanic Belfast in front of the replica of the famous staircase, it was an unforgettable evening. As with all TED conferences, the presentations will be posted on-line but that will take a week or two before they are ready. 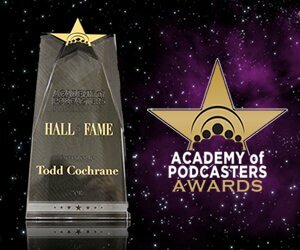 In the meantime, these are the speakers, their stories and how they made a difference. David Maxwell of Tyrone Timberframes presented his work with Habitat for Humanity in building highly energy-efficient homes that have no central heating. The significant cost of fossil fuel-based energy can be a big factor in poverty and these homes can save the inhabitants over £1000 per year. Maureen Murphy, Director of Aurion Learning, grabbed attention with the headline that 70% of training was wasted and proposed an innovative way of providing effective training using the acronym ASSAULT. One of the best bits was that of story-based approach that hooked the learner and got them more emotionally involved. Fransuer Makula grew up in the slums of Kenya but is now a teacher in a prestigious school in Northern Ireland. Describing the harsh reality of existence as a street child, where death is commonplace, he related how the children dared to dream big. In the midst of utter poverty, these children wanted to grow up as doctors, nurses and lawyers. Fransuer established “Jengana” to help orphans, street children and schools in West Kenya. Colleen Hardwick, billed as an urban geographer and serial entrepreneur from Vancouver, laid out the loss of personal engagement in democracy. The statistics she presented on the fall of voter turnout over the past few decades were shocking. To counteract the anonymous global nature of the web, she’s developed PlaceSpeak, a community-based website that lets local people be authenticated as stakeholders in local issues without necessarily giving up that anonymity. Next was an absolute gem…acoustic guitar duo Declan McKerr and Andy Toman, aka Gypsy’s Wish, serenaded TEDxBelfast, equipped with a brand-new George Lowden guitar. His guitars are world-famous with owners such as Eric Clapton and Mike Oldfield. Sublime. Following a musical theme, Chris Blake, Principal Horn with the Ulster Orchestra, talked about the work he’d done with autistic children and the therapeutic value of music. The results were truly ground-breaking, increasing the evidence between autism and musicality. Anne McReynolds, CEO of the Belfast Metropolitan Arts Centre, had TEDxBelfast captivated by her struggle to get a world-class arts centre built in Belfast. Starting in 1996 and finally opening in 2012, it’s an amazing story of architects and artists (“good clients get good buildings”), buildings and space. If you want to build an arts centre, Anne should be the first person you talk to. Colin Williams of Sixteen South tackled the “Can’t Do” attitude that has often afflicted Northern Ireland with a great story of “Can Do” success. It’s likely that you’ll never have heard of Sixteen South, a children’s TV production company but if you have kids under five you’ll have heard of Sesame Tree, Big City Park, Pajanimals, and Big & Small. Working with the BBC and The Jim Henson Company, Sixteen South produces these great TV programmes here in Northern Ireland. Fantastic. Colin’s business plan was pretty clever too. “Do some good, make some money, have some fun.” Good advice for anyone. Chris Horn completed the speaker line-up with his inspiration for Dublin’s Science Gallery, an exhibition space that takes a creative and artistic approach to the presentation of science and related issues. By taking the traditional remit of a science museum and combining it with the changing presentation of an art gallery, the Science Gallery is an innovation in itself that has proved tremendously successful. So much so that Google recently awarded the Science Gallery $1m to setup other Galleries around the world. Overall, it was a great evening, with inspirational speakers in a fantastic setting. Thanks also to Davy Sims and Gary Burnett and Mark Finlay for organising #TEDxBelfast. Turns out that higher price doesn’t really equal higher quality with HDMI cables. They are all equally awesome. An experiment with HDMI cables is being touted as showing definitive proof that expensive HDMI cables perform no better than cheaper competitors. 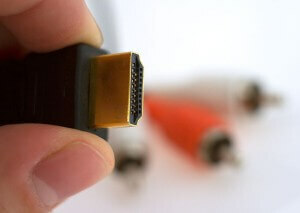 Posted to Expert Reviews, the study compared HDMI cables – from relatively cheap (just a few dollars) to painfully expensive (a couple hundred dollars). What sets this experiment apart is the thoroughness employed to make sure as many variables as possible were controlled – essentially creating a conclusion that it would be nearly impossible to refute. Focusing on the output from the HDMI cables led author Tom Morgan used a PC to output a Blu-ray version of an open-source film called Sintel and recorded the output on capture card. That allowed him to look at raw, un-corrected frames of this film. Utilizing identical screenshots (those on the PC and those on the capture card), he compared the before and after using programs that identify individual pixel variations, as well as documenting the “digital fingerprint” of the frame on each end of the HDMI cable. In other words – the higher price on some HDMI cables appears to be hype. Unless you subscribe to the “I just got new sneakers and I can run faster and jump higher” school of thought, don’t waste your money on pricey HDMI cables when the cheap ones work just as well. Dynamic touch screen technology. Deformable tactile surface. Haptic user interface. Whatever you want to call it, Tactus Technology is poised to change the way you think about what has become near-ubiquitous touch-screen technology. Imagine a touch screen that rises to meet your fingers – keyboard configurations that physically pop up from the screen. That’s what Tactus says it will bring to market in 2013. Tactus expects its new tactile touch technology could be implemented across all modern touch screen devices – from smart phones and handheld gaming to readers and in-dash auto screens.